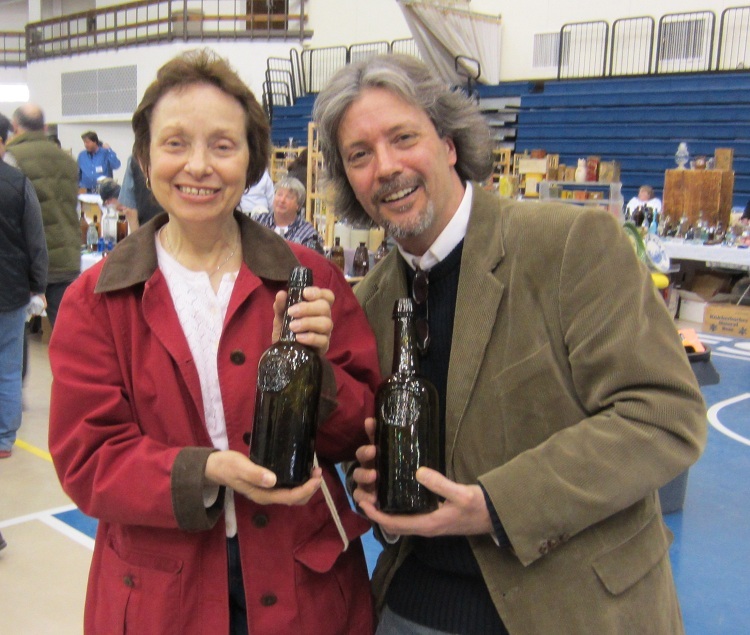 It started Sunday March 3rd, at the Baltimore Bottle Show, where I met some really great bottle and glass friends. My partner in research, Dana Charlton-Zarro, who had recently acquired an 1846 example and is as intrigued and thrilled as I am over the distinct possibility of it being an actual West Point graduation bottle, met me there. We were proud and pleased to set our examples side by side and see them reunited after 167 years. These are of the same privately commissioned order and are, without a doubt, identical in every way in manufacture. 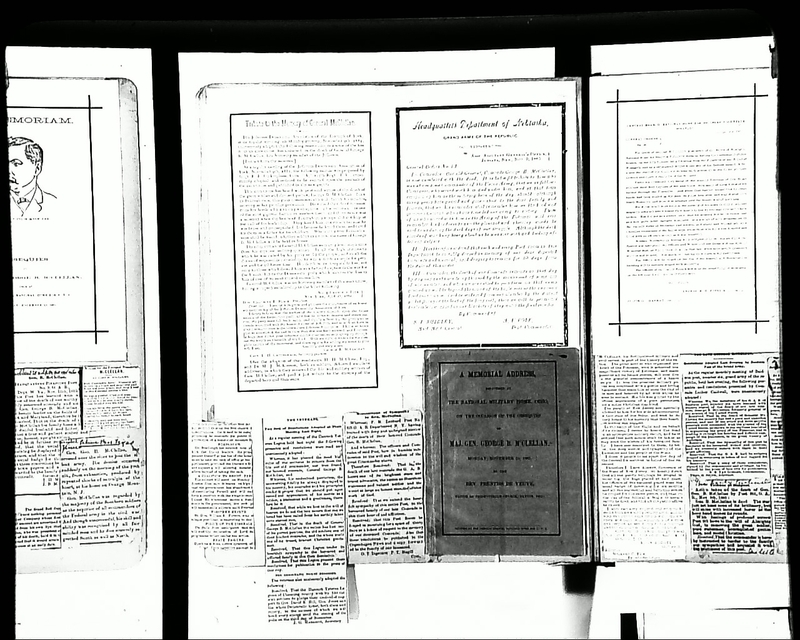 These two examples featured below were made on the same day in 1846 to fill one order. The lingering questions are who ordered these; how many were made in that order, and are they indeed bottles privately commissioned for the Class of 1846 United States Military Academy at West Point? The photograph of these bottles reunited is amazing, but even more fun was getting to meet my research partner in person and reaffirming our instant friendship over the internet in person. Dana lives closer to West Point and my father lives near Washington DC, so each of us is able to do our “division of labor,” in gathering clues and leads to get to the truth of these beautiful and historic bottles. 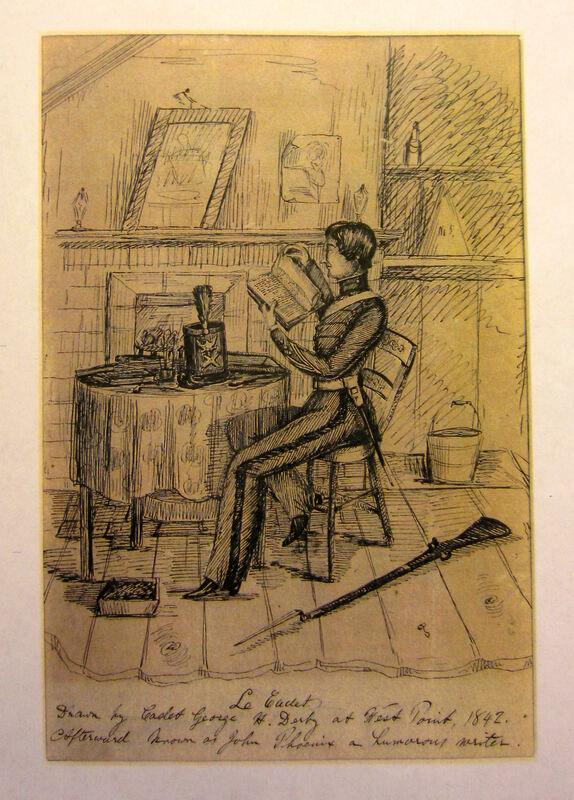 Dana had made a trip to West Point beginning her research and chased down a fantastic clue, as she had seen a bottle in a sketch by West Point Class of 1846 cadet, George H. Derby, in which he depicted himself studying in his room at West Point. She was able to hold and study the original sketch and acquired two color copies of the original, one for her and one for me. 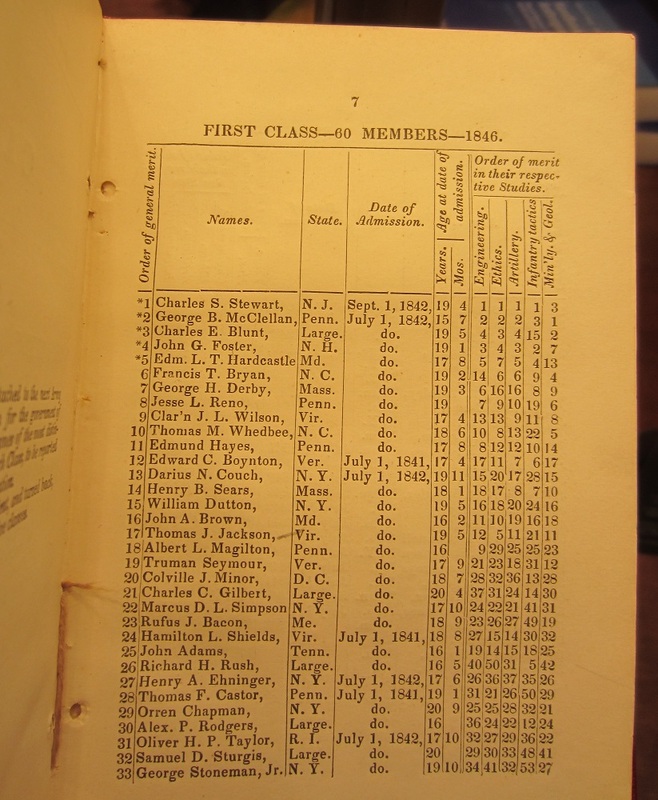 The sketch provided a date, which determined the bottle in the sketch was not a representation of the West Point 1846 graduation bottle, as seeing the entire Derby sketch shows the date of 1842 at the bottom, which was not shown in the book that featured it. 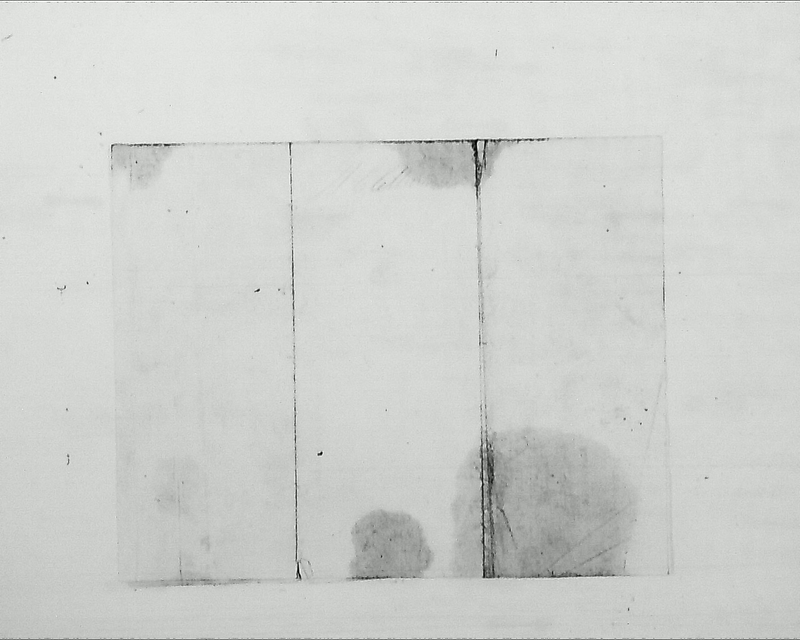 The bottle in Derby’s sketch most likely represents a master ink bottle, although at first glance, it does resemble a cylinder bottle with an applied seal. This isn’t bad news. Canceling out what something isn’t, is just as important as finding out what it is. Dana’s study of the Derby sketch allowed us to eliminate that possible lead and focus on others. The really cool factor here is that now we each have a wonderful direct copy of the original sketch by Class of 1846 West Point cadet/graduate George Horatio Derby, who, actually, was my personal favorite cadet as he was noted for his funny antics and though a brilliant engineer, he went on to become a great humorous writer. 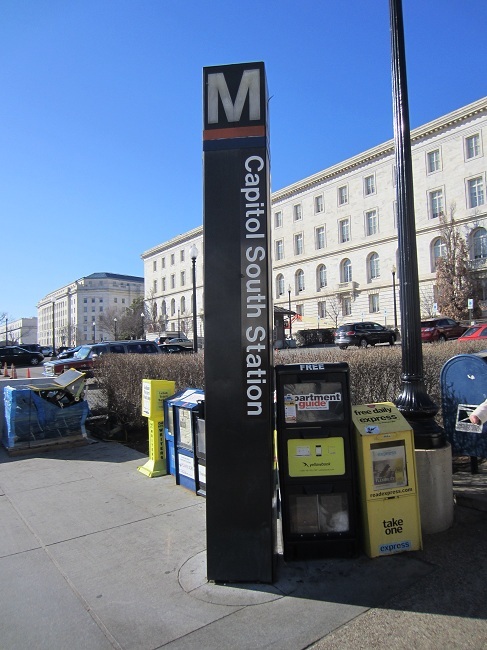 The Metro in Washington, DC is a perfect travel means, as it has a stop at South Capitol which lets you off right at the corner of the Library of Congress, which consists of massive buildings. 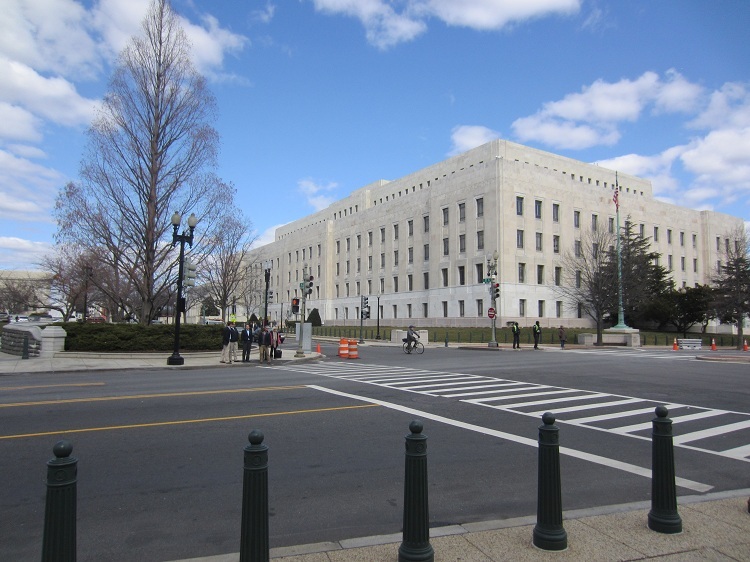 You can even get a glimpse of the Capitol building itself as you stroll around to the front of the James Madison building of the Library of Congress. 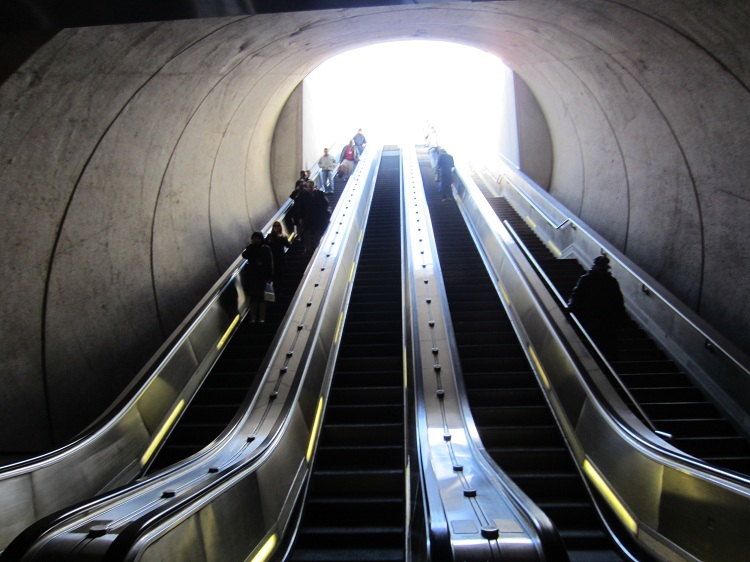 But first, there is the coolest escalator, going up. Above, walking around to the front of the James Madison Building, shown below is what you see looking to your left, the back of the Capitol Building itself. 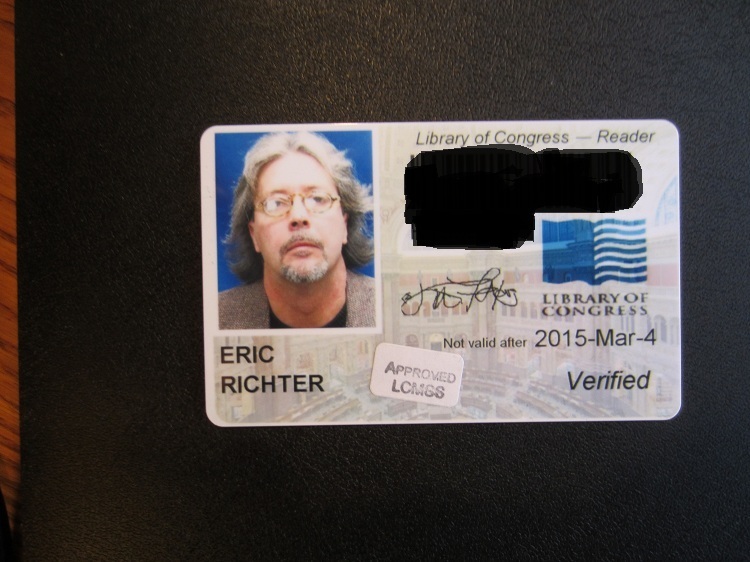 The coolest library card I’ll ever have. Now the fun would begin, but I was in for a few interesting procedures. 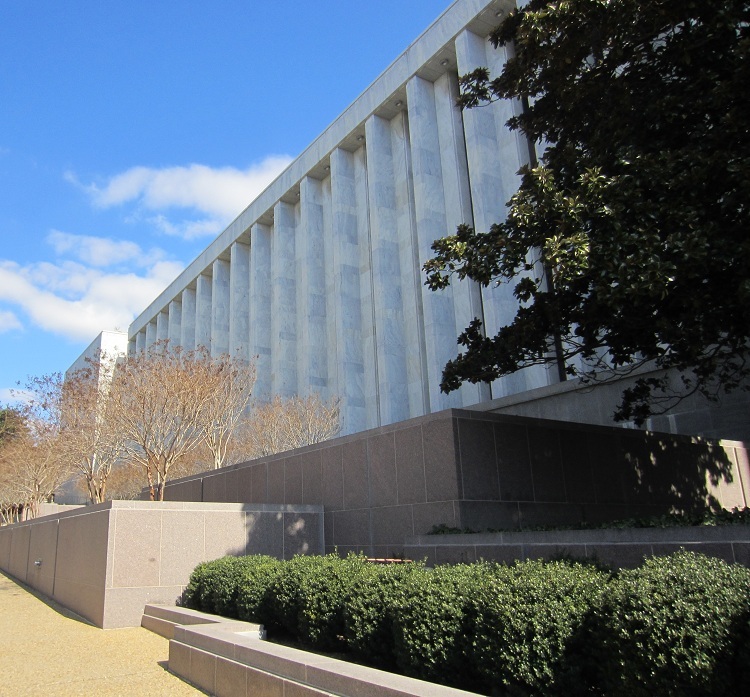 Let me say first that everyone I met and dealt with at this exceptional Federal Institution were as nice, friendly, and helpful as you could hope for, from the guards I met going in, to the Officer in the Manuscript Room, to the Librarians themselves. I had called prior to my visit and made sure all the McClellan material I wanted to see was on site, which it was. I was told that I could make copies and have free use of my digital camera without the flash. After checking my belongings into a locker and being provided with a key, I had to have anything I wanted to bring into the Manuscript Room “approved,” and stamped accordingly by the Officer. I had copies of my original articles, and notes, but was not allowed to bring any paper as I was to use only the note cards provided. 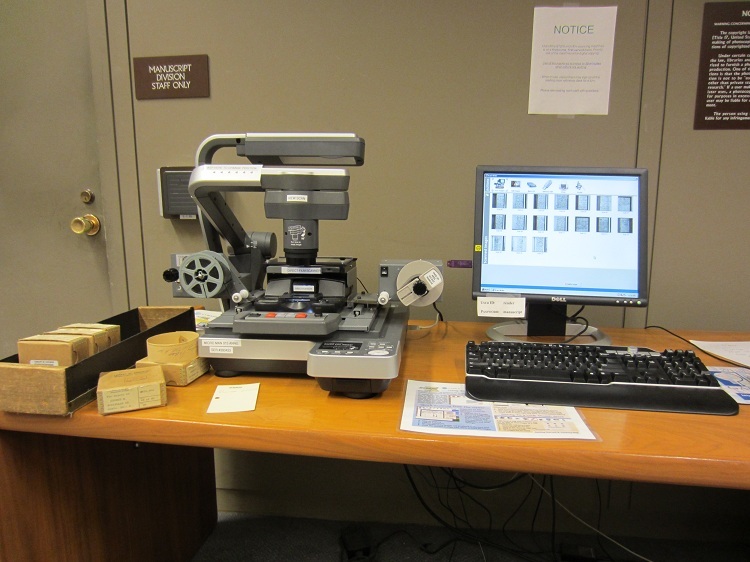 The McClellan Papers I had come to see were all on microfilm and it was only after I had sat down with three reels I had requested, that I noticed it was also allowed to bring your own laptop or flash hard drive to download the material you wanted to research. So on my first visit, I literally fried my eyes reading George McClellan’s unique, yet mostly readable handwriting, and decided to take a few pictures of what I was seeing. 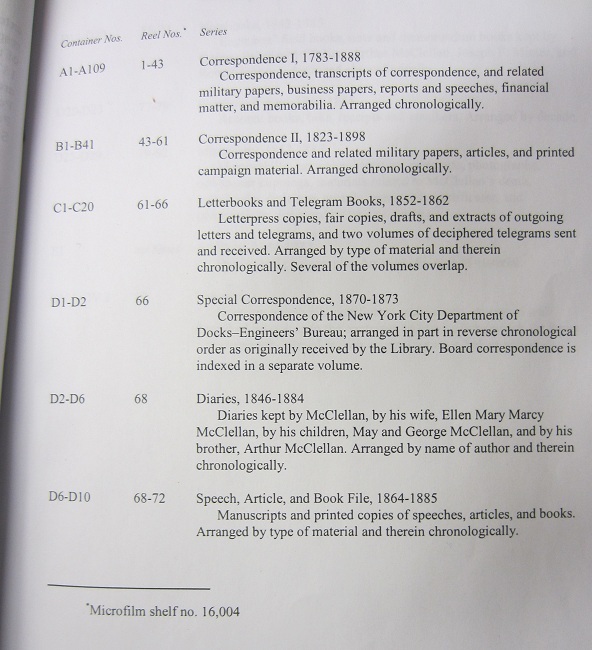 First, I was given a directory of the McClellan Family Papers and what reels they were on. The amount of information and documents is staggering, but I was mainly focused on the year 1846. 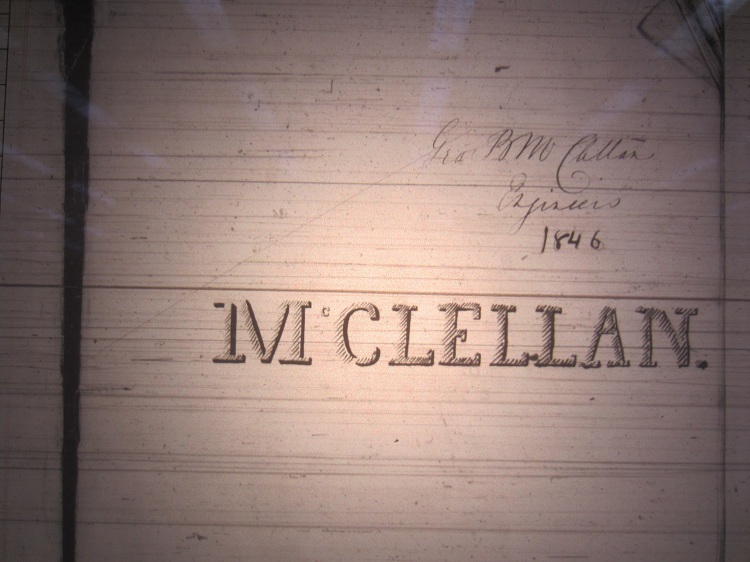 How exciting, the answer to the thus far elusive 1846 bottle mystery could easily be found within these preserved photographs of all available George McClellan papers and effects, dating from original family origin of 1783, up to 1898. I viewed two reels of financial documents and receipts, secretly dreaming of this being as easy as finding a receipt from Dyottville Glass Works for the commissioning of the bottles by George’s father, but it isn’t that easy. The amount of documents and items to see is incredible. I did notice that there were plently of receipts from London and Paris, as well as one from Tiffany and Company, for items I do not recall, as there was so much to see. Many financial documents were banking notes and financial lists and did not include exact details. How very fascinating to simply get off the Metro and step into 1840’s. Below are some photographs I did take of what I was seeing. 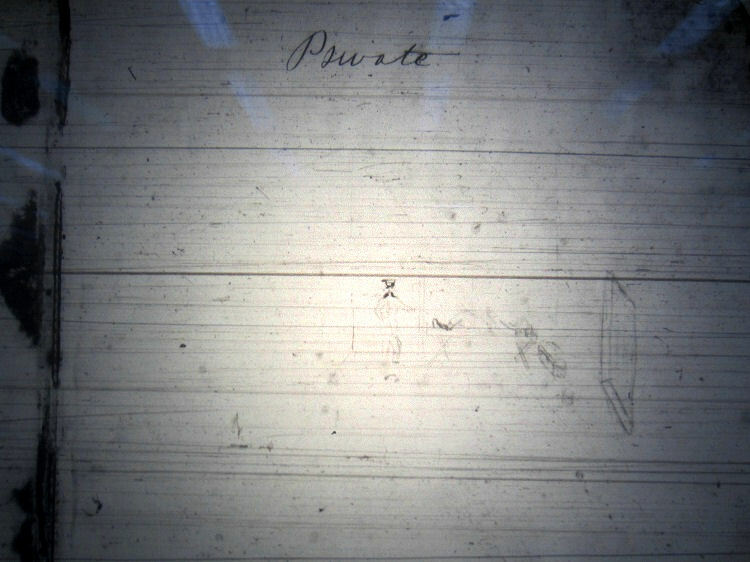 Shown below are the first 3 pages of George B. McClellan’s 1846 Diary, in which he shows some talent in illustrating his name, and take fascinating note of the page inscribed “Private,” in which is depicted a room with a window and a man with what appears to be a military cap exiting the door. I got the impression that George was showing his leaving of West Point in an image, as the diary begins with just that. Now that’s some very historic stuff, too many pages to pay .20 a page for a printed copy, so I did reserve the reel for tomorrow as I will be bringing more than one insertable hard drive to download the material. I have noted that McClellan’s handwriting is easier to read in his diary than it is in his letters. (He is very businesslike in his writings and does not dwell on personal feelings was the impression I got.) There was simply too much to sit there and try to decipher. This had to be downloaded to spend hours at leisure to read for leads, clues, or even the sought after provenance itself. I will be downloading many pages and many letters. Note above, the Officer ‘approved’ stamp on my scribbled notes that I had brought as I already knew which reels I wanted to view according to their dates. The Librarians were most helpful in answering my questions as to what other possibilities I had, such as where any records from Dyottville Glass Works would be (if they exist) and I was told that the Jefferson and Adams Library of Congress Buildings each have the records of business and periodicals, books and newspapers each housed respectively, and they were just a simple walk across the street. 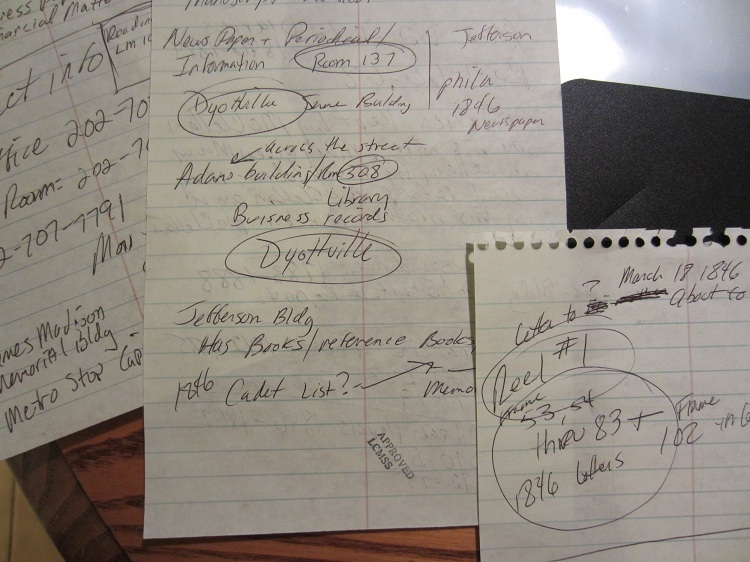 So, it’s tomorrow with the hard drives for the 1846 diary and letters download, then to the Jefferson building to research if any Dyottville business records exist. Man, I wish I could just do this for a living; attempting to exact some written proof on this bottle is the most fun I can ever remember having. And I’m on the road to find out. Today was much more productive, as I had gotten an idea as to what to focus on yesterday. Today I went with insertable hard drives. 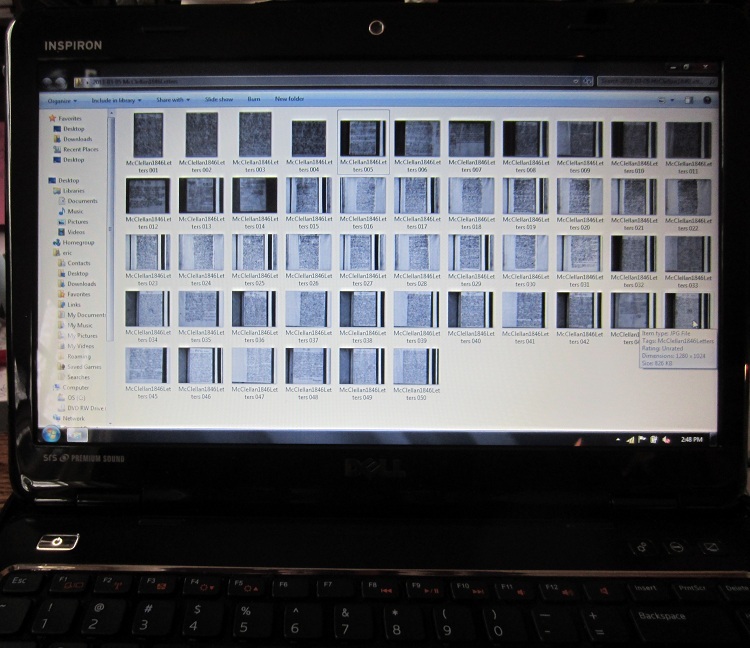 I managed to download 50 pages of George McClellan 1846 letters, all various dates, as trying to read a single page would take quite some time as the below picture shows. I shot this just sitting in front of the screen and you are seeing what I am up against, as one has to download and print these pen and ink dipped writings and get the highest powered reading glasses as well. Sitting in the library and trying to even begin to digest this one page, let alone 49 others would take huge amounts of time. 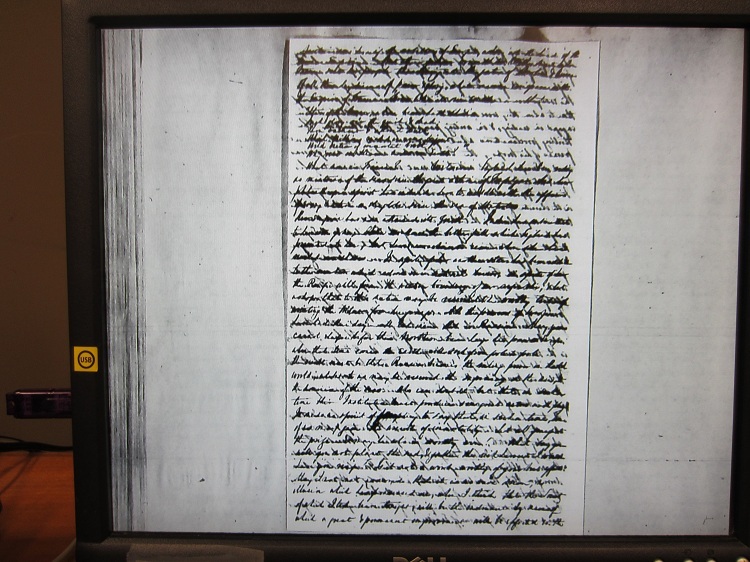 Most of these letters it appears, he wrote on both sides of the page with heavy use of ink. I had a close up look at the George McClellan 1846 Diary and it was much more legible than his fast and heavy inked writing style in his letters and correspondence ( as featured above,) and took very careful note that it begins on September 24th 1846. His diary focuses only on his departure and exploits during the Mexican American War. 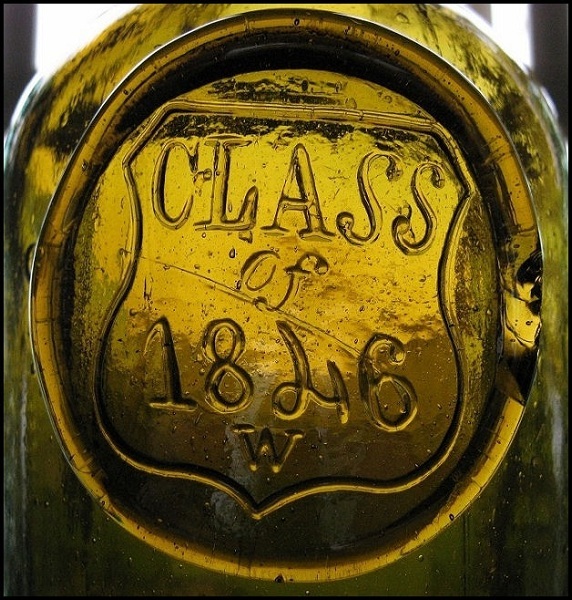 The war began for most of that famous class in the exact area where, coincidentally enough, one of these Class of 1846 bottles had appeared years ago and was acquired by a collector who now has it in the Port Isabel Museum, located on the grounds where Zachary Taylor’s men were encamped in 1846. Back in those days it was called Point Isabel. The circumstancial evidence of one example of these bottles being located in the exact area where 53 of the 59 graduating class members of the 1846 Class of West Point were sent is very intriguing to me. So, after much skimming and reading the diary itself; I came to find it’s only about the Mexican American War, and I found no reminiscing about any graduation party nor mention of graduation keepsake bottles. The diary was much ado about engineering, thoughts of the war, and overall, very military and businesslike. The period prior to the diary, between June 20th 1846, and his late September departure for the War is the key time period for me. Below is my ‘workstation,’ a great location, as the door on the left is where the reels I request are brought to me. 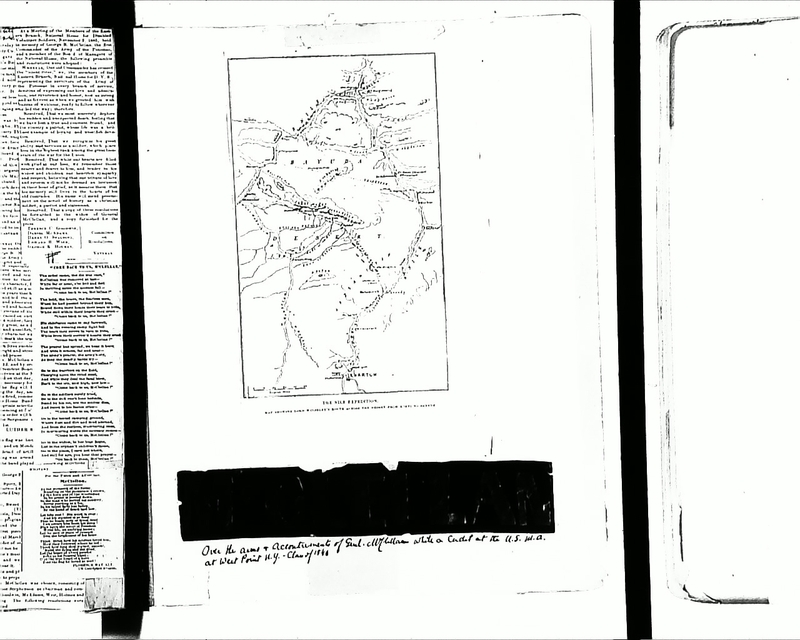 An assortment of boxed reels of the McClellan Family Papers are clearly visible, as well as the images of letter correspondence saved into the computer to be downloaded when I was done. What a fantastic Government Library, you just request something and it’s brought to you like room service. The next time I hear someone moan and complain about paying taxes, I want them to come and see this amazing place that’s available for every American Citizen to visit at no charge, to experience and learn. 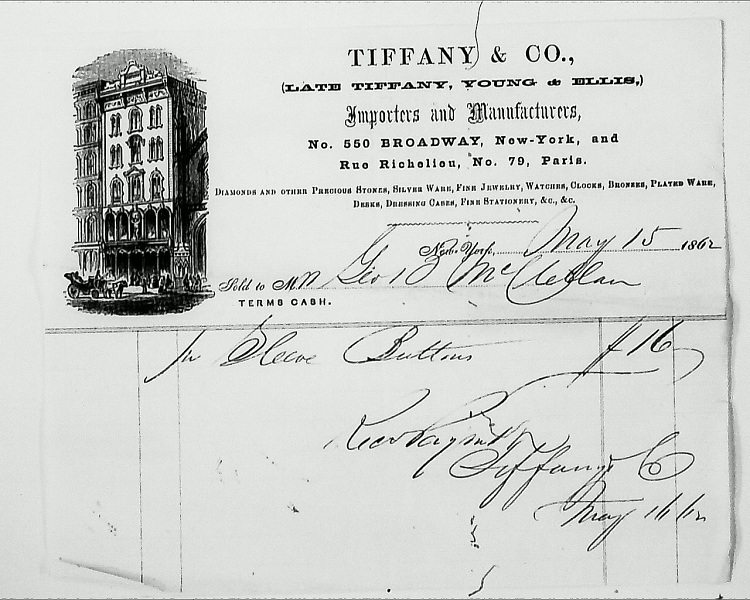 For fun, I had come across some interesting items that deserved to be downloaded as well, such as a George B. McClellan receipt from Tiffany & Co. for some “Sleeve Buttons,” which was dated May 15th 1862, see below. This isn’t something you see everyday. You won’t see this interesting receipt referencing a doctor for something everyday either. (You can, now that it’s here on my website if you really want to.) 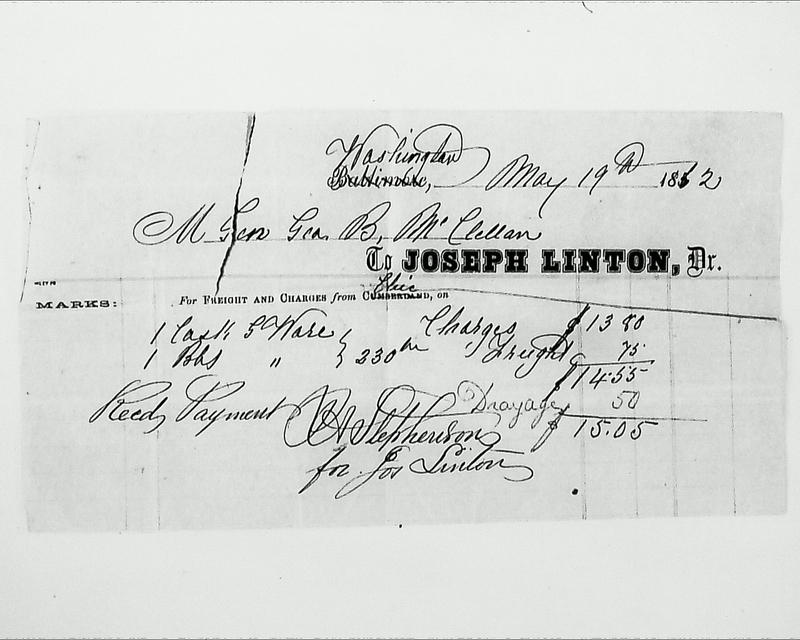 Note McClellan is referred to as “General,” on this receipt. Most of the Financial Papers are mere scribbles on tiny tablets of paper with no accompanying words, or very little information. There are bank tablets and cancelled checks, but I did not see anything from George’s father that dated to 1845-46 that had anything to do with an order for bottles or the words Dyottville, or even Benners, Campbell & Smith, who were running Dyottville Glass Works during 1846. After downloading what was needed and what was just fun and cool, and having read enough of the dairy, it was pushing 3:00. A librarian who was intrigued with my research suggested I see the Civil War and Reconstruction Specialist for the Manuscript Division, whose office was across the hall from the Manuscript Reading Room. I went there, asked the receptionist, who spoke on the phone, and I waited no more than three minutes when a very charming and intelligent woman came out to greet me and invited me back to her office. She was very quick to take in what I was doing and trying to accomplish, and saved me valuable time as she explained that the Jefferson Building where I was planning to go for any possible Business records from Dyottville Glass Works would only show city directories and not the actual records. She instead, recommended that I go to the Adams Building which has periodicals, correspondence and books, and focus mainly on the letters and memoirs of the 1846 class members available. 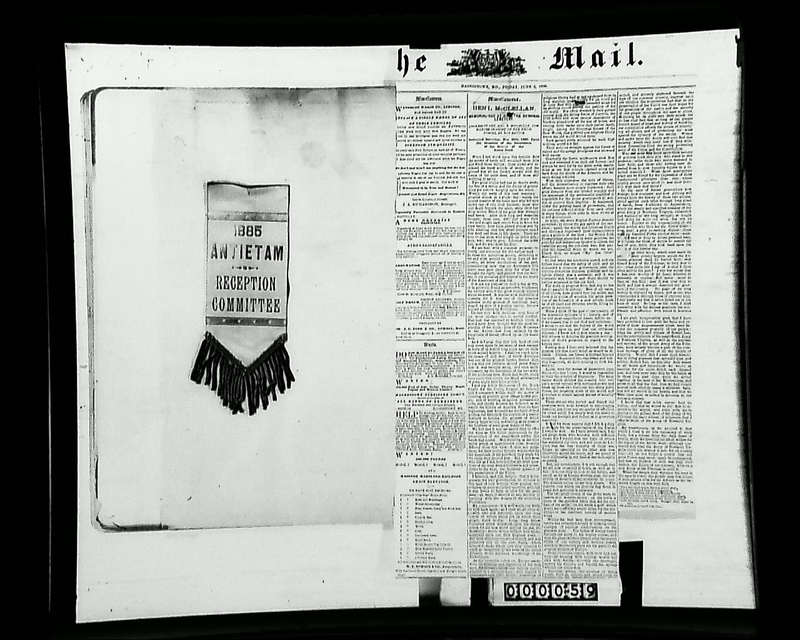 She also showed me an amazing new development as a part of the Library of Congress website, that has all the states getting onboard and archiving their newspapers from the 1830’s onward, or however far back they may have them. Not all the states are onboard with this new project, but Pennsylvania, New York, and most others are. She also suggested I do some research in Philadelphia, as there may be information for the 1846 time period I needed there. It was quite a great conversation and her knowledge of the Civil War was more than impressive. 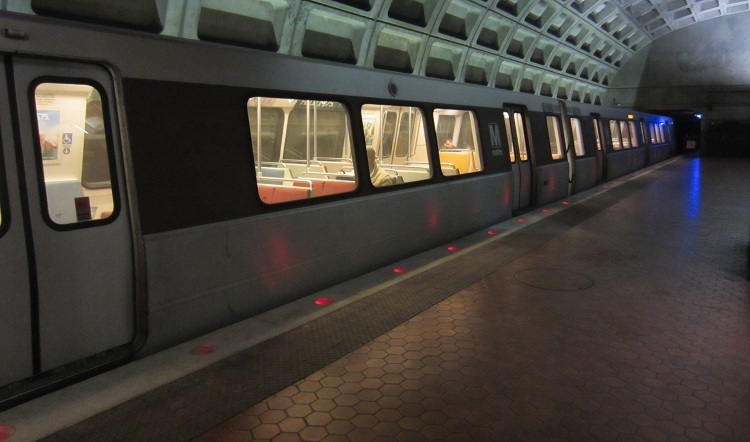 It’s snowing as I write this and tomorrow’s trip to the Adams Building of The Library of Congress may not be possible, but there is always time. Interesting to note that a librarian stated that what I was looking for was very obscure (quite an understatement,) and that this could take a year, or just ten minutes. I’d settle for somewhere inbetween, and definitely a bit closer to the ten minutes. But, reading the 50 pages of letters that I will print out will take a bit of time, and who knows? The “smoking gun” may be on my computer right now. No, nobody ‘Stormed in’ to the house, but this March winter storm is certainly making things a mess outside. Fortunately no deep snow, but the wind is a howler. 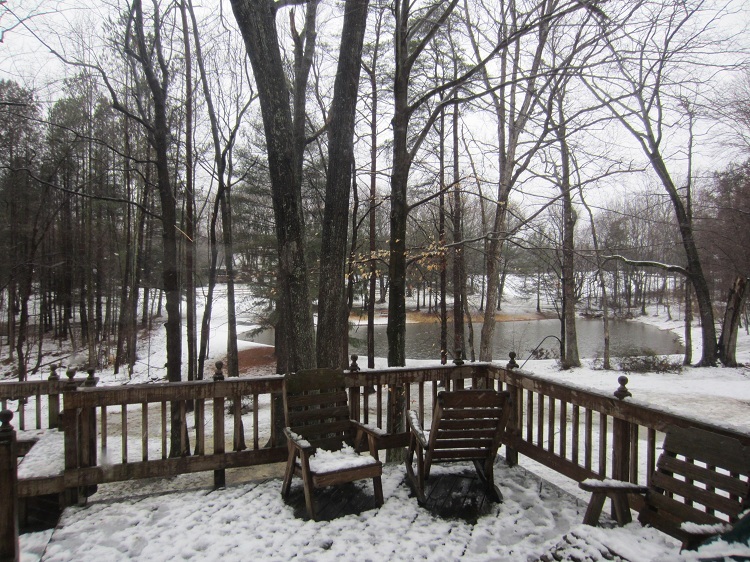 See below photo of out back; you can’t see the wind, but it sure is making itself known. 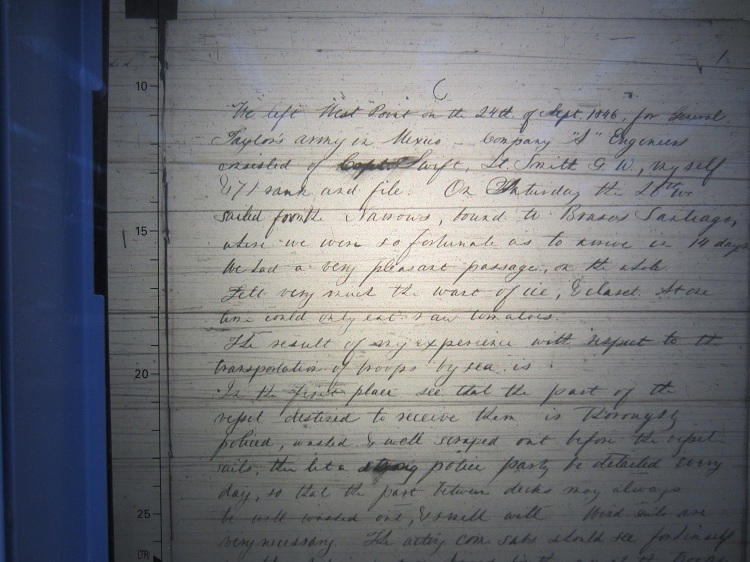 So, the main issue of concern is to consider wasting a ton of ink of simply printing the McClellan 1846 letters as they are, as seen below on my screen. Note above the first four on the upper left I have cropped to just the letter itself, to save ink if I print these. But then I thought about it, and what if the needed provenance isn’t on these letters? Better to read them on the computer first and if I find the evidence, then print only what is needed. Note above all the ink that would be used if this page was printed, so I decided to crop the letters to just the letter itself. Now this is the way to go about it, but, I’ve decided only to even go to this trouble if I find what I need on a particular letter. There are 49 pages of letters beginning at a most perfect date, as seen below. 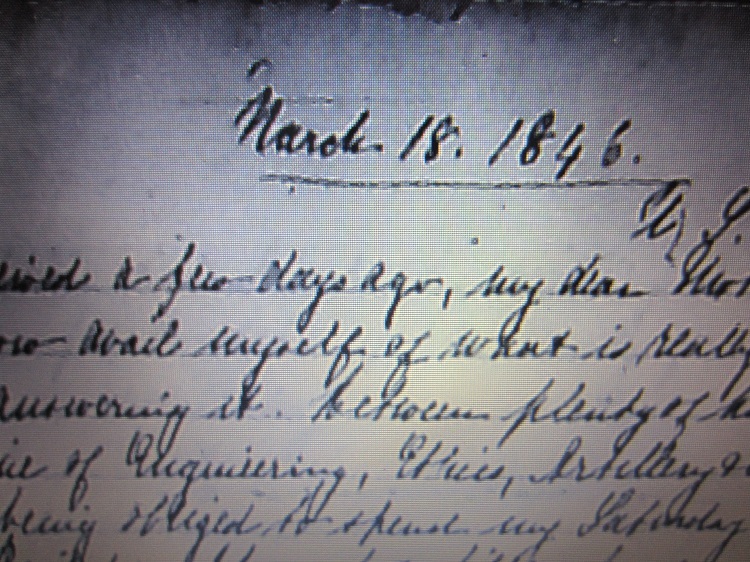 If these letters begin March 18th 1846, and end in mid September 1846, then I have the perfect time period to study as George McClellan graduated West Point and then was given orders to ‘repair to his home’ on June 20th 1846. His diary starts September 24th 1846 and begins with his travel to the Mexican American War. These 49 pages of letters are the time period I’m chasing after, the gap between his leaving West Point and then leaving for the war. I really hope it could be this easy and I will study these letters and continue to update. Note: if I do find an answer as to whether or not this is indeed a West Point bottle, that will not be revealed in this article and the real answer as to what these bottles represent will be an article onto itself. Remember, this is an article only meant to share the research process so that you can see what I am seeing. Tomorrow will be a visit to the Adams Building for more research, no matter what the letters indicate. I’m thinking in terms as a detective would; when matching a fingerprint, I want more than one matching characteristic. Since I’ve come this far to Washington DC, I mean to get all the available information I possibly can in the time I have here. March 7, 2013. Many Hallways, Many Ups and Downs; and a Needle in a Haystack. Today was a very interesting experience. 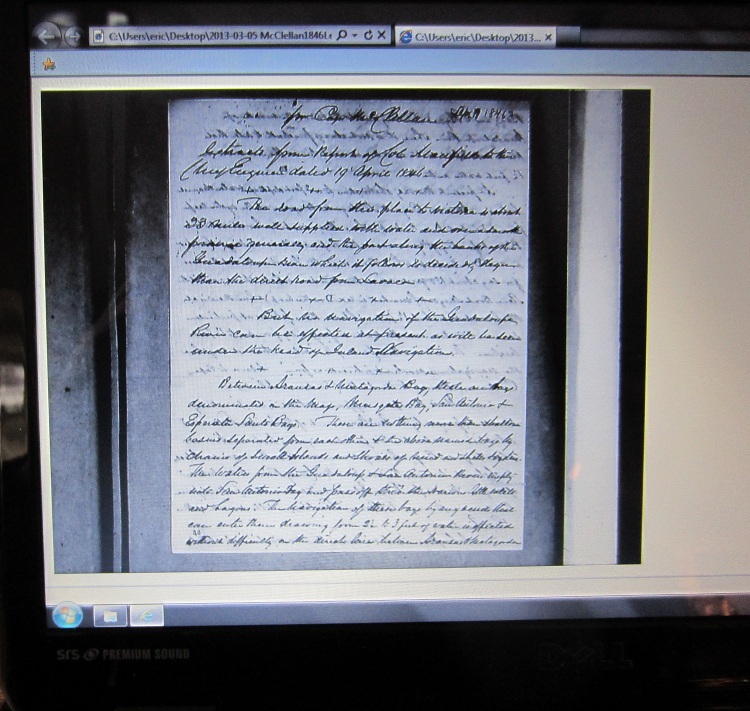 I decided to backtrack to the Manuscript Room, before visiting the Adams Building for 1800’s Books and the Photography Archives, and have another look at anything I may have overlooked in the McClellan Family Papers. I won’t even begin to describe how incredible the McClellan Family Scrapbook is, and what I have access to in it, as I have to go back again tomorrow, as everything I downloaded from it didn’t make it back with me, despite checking that it did, in fact download. A definite “Downer,” so that’s part of tomorrow’s agenda. So, let me begin with some other experiences that were very exciting and intriguing. 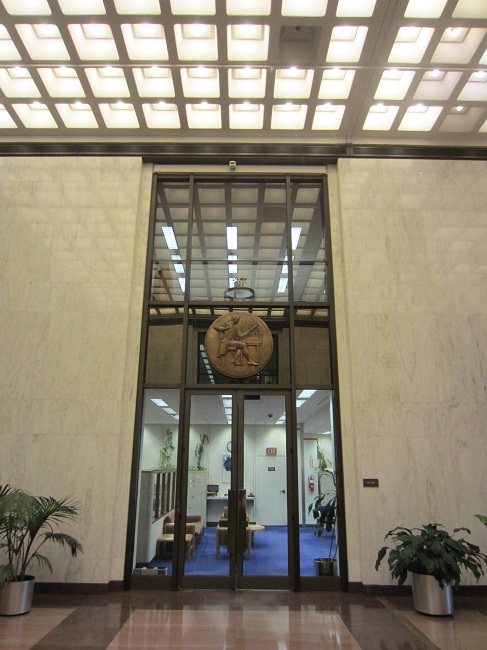 This is the entrance to the Manuscript Reading Room in the Madison building. 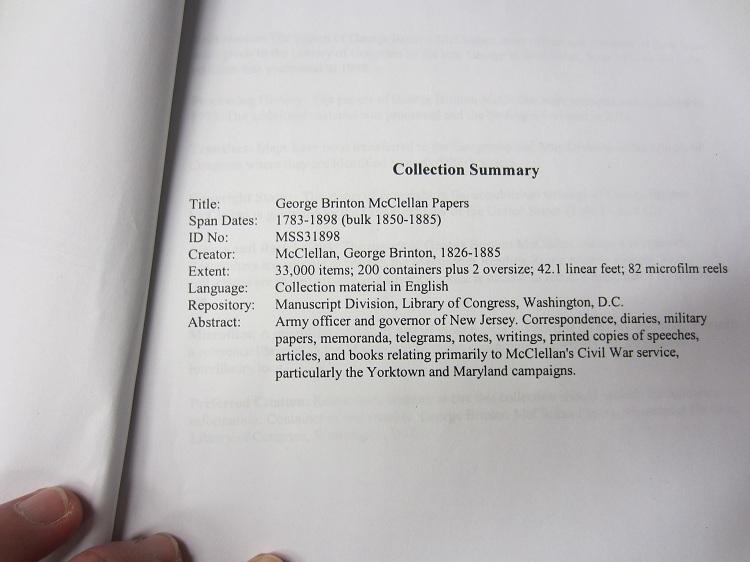 It is in here that I have been reading and studying the McClellan Family Papers. Right across the hall is the Manuscript Division, where I sat and had an amazing conversation with the Civil War and Reconstruction Specialist. These two photos definitely show what a beautiful place the Library of Congress really is. My next stop was the Adams Building which, although quite beautiful, gave me the impression of it being an older building once I was inside, which it was. 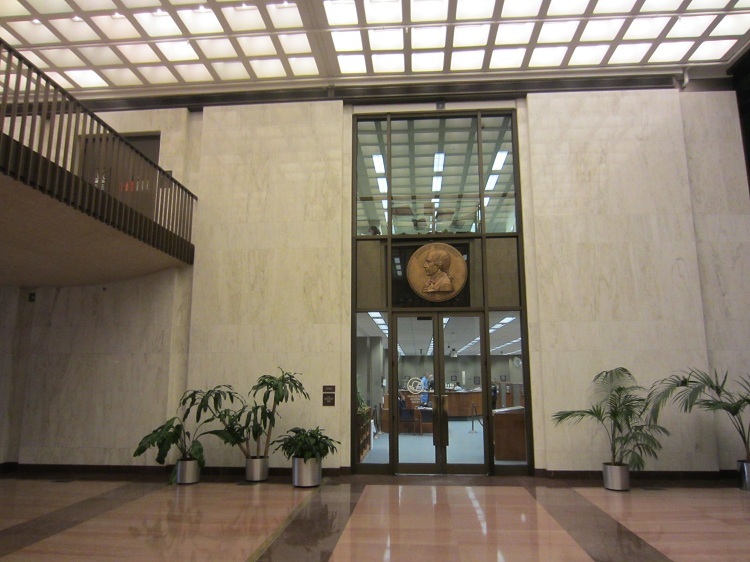 It was here that I encountered some very interesting and exciting material, on two different floors. 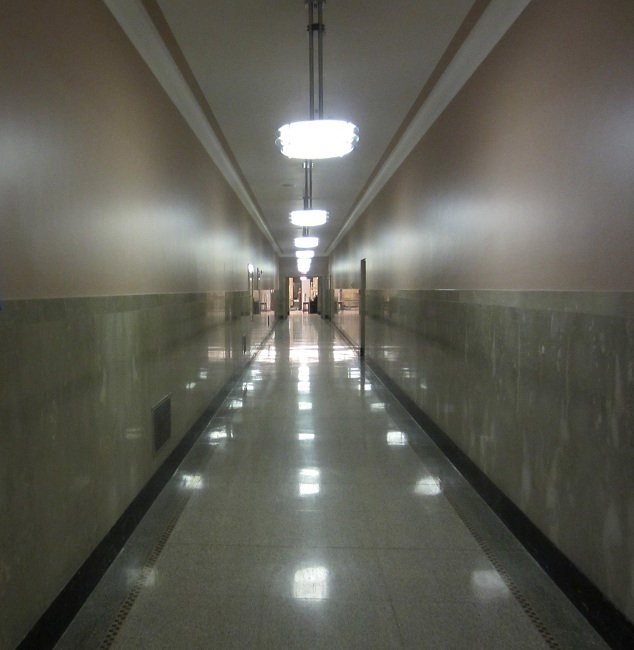 Walking down a long hallway, I noticed it had its own unique “Washington DC Hallway” atmosphere about it. My first stop was the third floor, where I paid a visit to the Photography and Print Archives. I gladly accepted some assistance from a very helpful fellow, who set me up on a system in which I searched for anything involving West Point and McClellan. I then came across an amazing photograph you’d never think would exist. 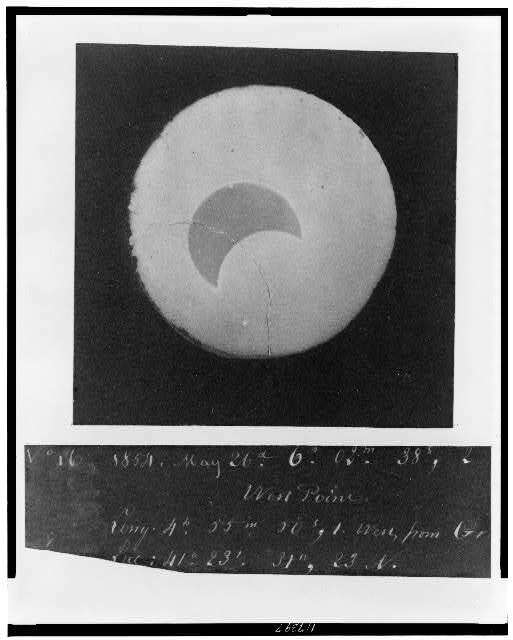 What you’re seeing in the photograph above is the Solar Eclipse on May 26th 1854 taken at West Point. Now that’s a Wowzer of a subject and photograph to happen across. 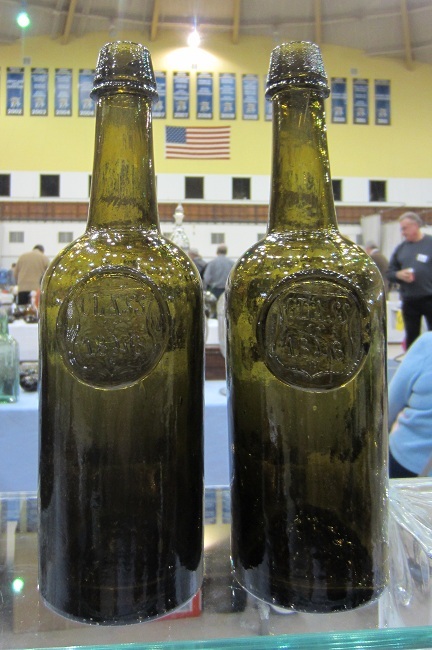 Note the number “4” in the plate is “looped” identically to the “4” embossed on the 1846 bottle. But some more historical images were to follow, below are some beautiful paintings and engravings by William James Bennett showing West Point, but, the first one below was done by none other than Truman Seymour, a graduate of the West Point Class of 1846, ranking 19th in that class. After serving in the Mexican American War, he came back to West Point to work as an Assistant Professor teaching drawing to cadets from 1850-1853. He later retired to Europe as an Artist and died in Florence, Italy in 1891. His watercolor painting talent speaks for itself, as shown below. Note that he painted this in late July, right after he graduated in 1846. William James Bennett was English born in 1787 and ended up in America in 1826. 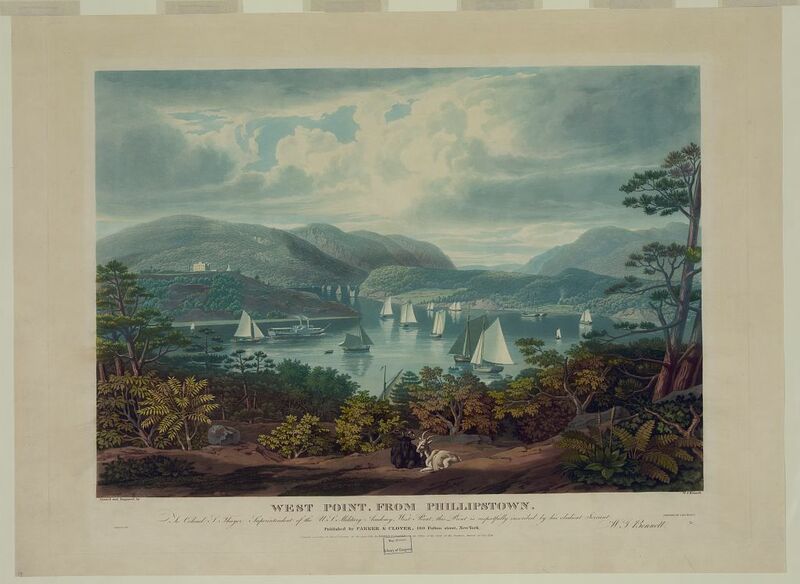 He painted and engraved, and his views of West Point are quite beautiful as well, as seen below. 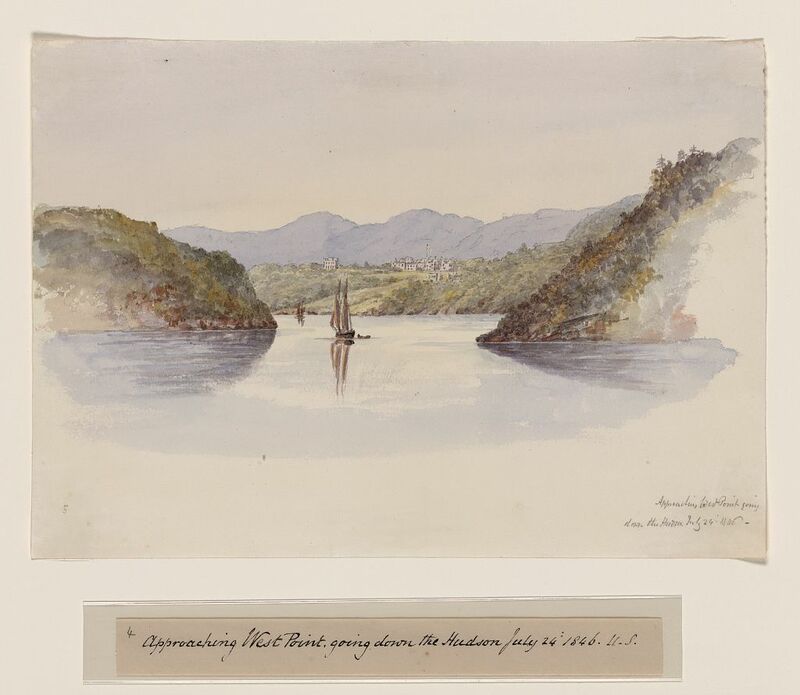 West Point From Phillipstown, by William James Bennett, circa 1831. 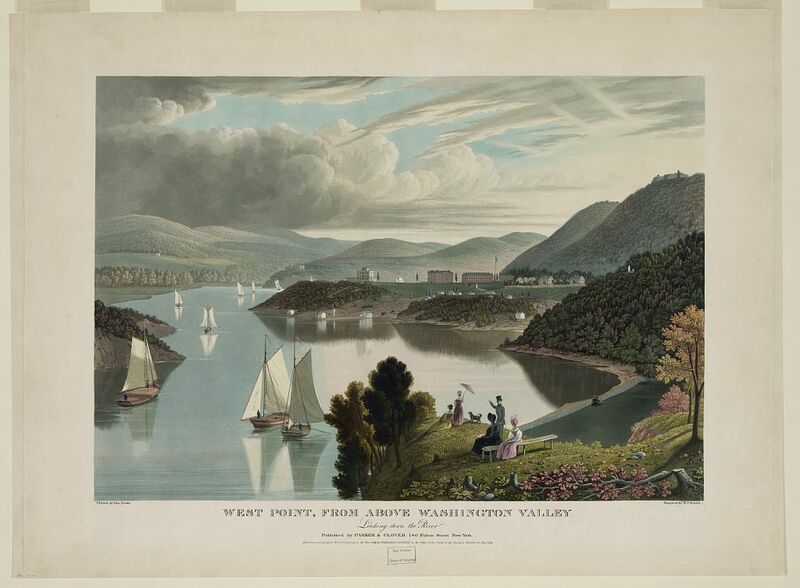 West Point From Washington Valley, by William James Bennett circa 1834. I didn’t come to research the Art involved with West Point, but I certainly couldn’t just leave it there unseen. There wasn’t as much photography of George B. McClellan as one would think, but I did acquire some very interesting photographs. 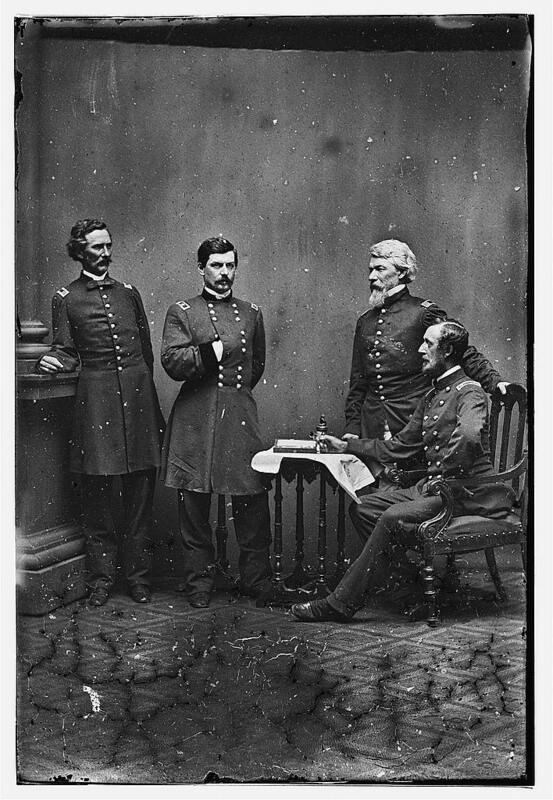 The above photograph shows General McClellan with his staff, likely dating 1862, before he was replaced by Burnside. Aside from the interesting poses, there appears to be an interesting inkwell and items on the small cloth covered table. The below two photographs deal with McClellan’s failed run against Lincoln for the Presidency in 1864, and feature interesting items. 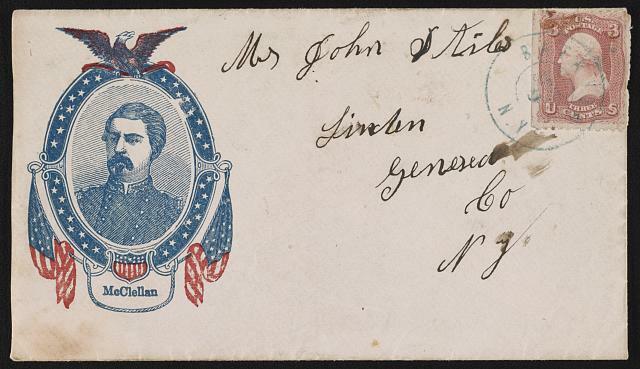 A political advertising McClellan envelope, just when you thought you’ve seen it all. I’m finding that he is correct. I asked if there were any existing copies of cadet memoirs in the collection, and, after much checking, the answer was no. He did, however provide me with a few very old and, I’m sure you’ll agree, “as close as can be” books on West Point that were available in the Library of Congress. Shown below are photographs I took just holding them. This is an original rebound 1846 Registry. Each graduating cadet received one. 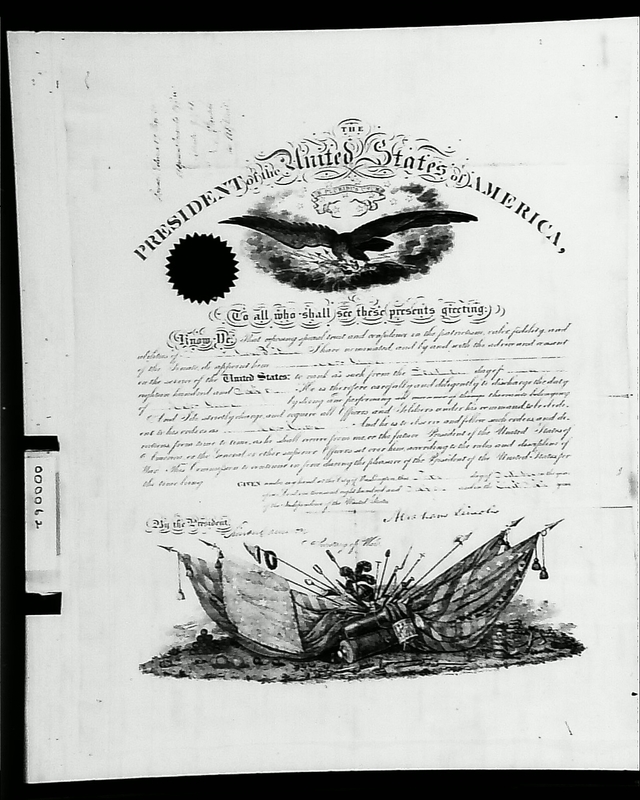 When my research partner Dana viewed the George Horatio Derby Papers at West Point, she did come across his copy of the Registry, in which he had underlined his name. Note the pencil check on Thomas “Stonewall” Jackson’s name on the above list. Could this have been Stonewall’s copy? We’ll never know for sure. 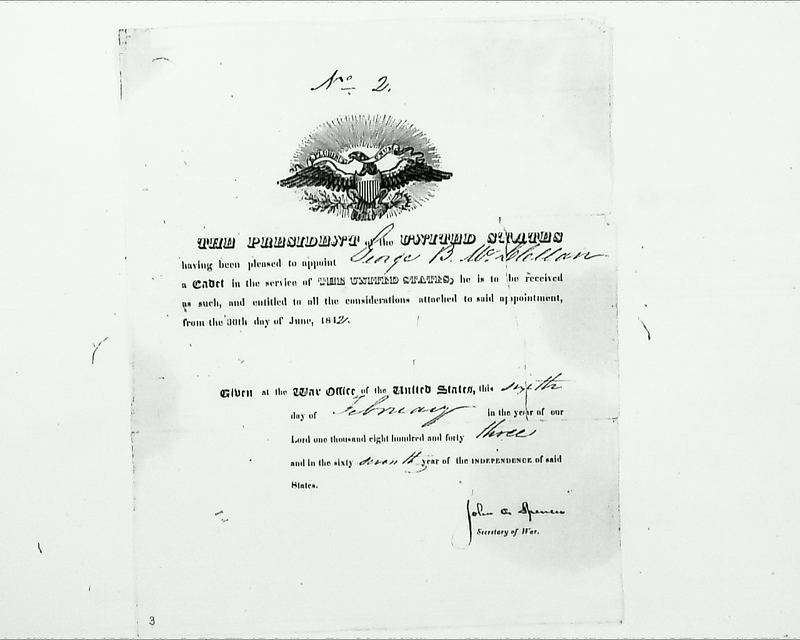 Note the ages shown upon starting as a freshman cadet; George McClellan was only 15 years and 7 months old. 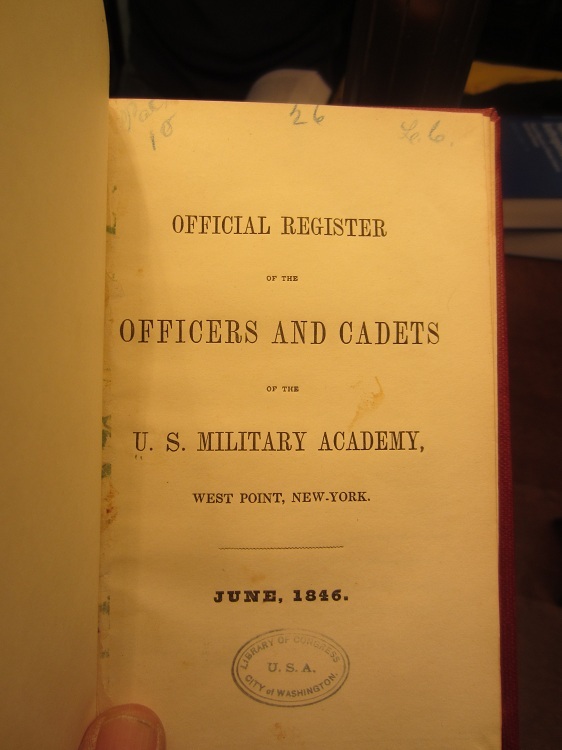 Not only was there an original West Point Class of 1846 Registry, I was also given an original Cullum’s Registry, dated 1868. The Reference Specialist told me the same thing the Manuscript Division Specialist told me; I needed to attempt to find business records from Dyottville and also search any and all museums with military and historical items for any cadet memoirs. For the second time I was told my next stop should be Philadelphia, where the bottles were made. I was hoping to get lucky by merely happening across a mention of it in the McClellan Papers, and I still might, the storm had me without power last night, and I have only read just one letter so far out of the 49 pages of them. It was a pre-graduation letter dated March of 1846 and although very interesting; it mentioned nothing about any future graduation plans. The answer may still be there amongst these letters which are very difficult to read, but I will read them. 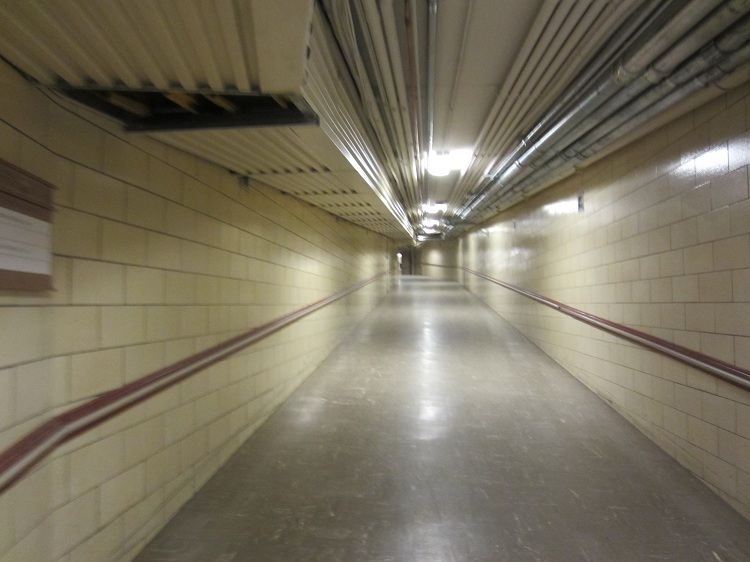 My last day in the Library of Congress is tomorrow and out of all the ups and downs today, shown below was a really cool “Down.” Have you ever been in a tunnel under Washington DC that interconnects buildings? Until today, neither have I. End Run. 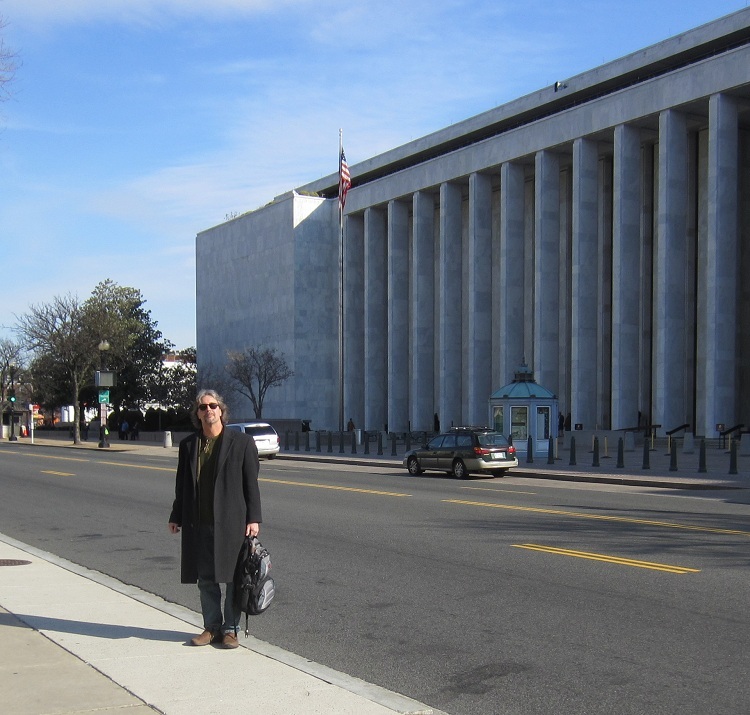 The Last Day at Library of Congress, March 8th 2013. No definite answers to my “Occam’s Razor” theory/hypothesis that the bottles were commissioned ordered by McClellan’s father for a graduation celebration yet, but I just have to share some amazing items of great historical significance whether they prove my McClellan bottle theory or not. 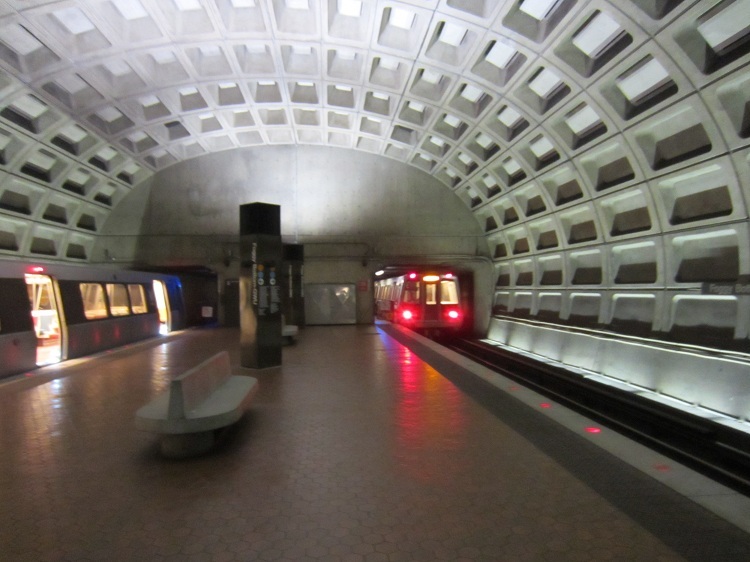 What I did in coming to Washington DC, was to attempt to chase down my McClellan theory and hope to find evidence. I haven’t gotten my hand on the smoking gun yet, but, if my theory does eventually prove true, than the following items of history will make for a most complete and fascinating article. What I gathered today, I had gotten yesterday, but the download had somehow failed. Today, it did not. Shown below are some of the most amazing historical documents I have ever seen, all contained within George McClellan’s family scrapbook. I think it best to just list the pictures and tell in captions, as it’s like viewing a photo gallery of history. 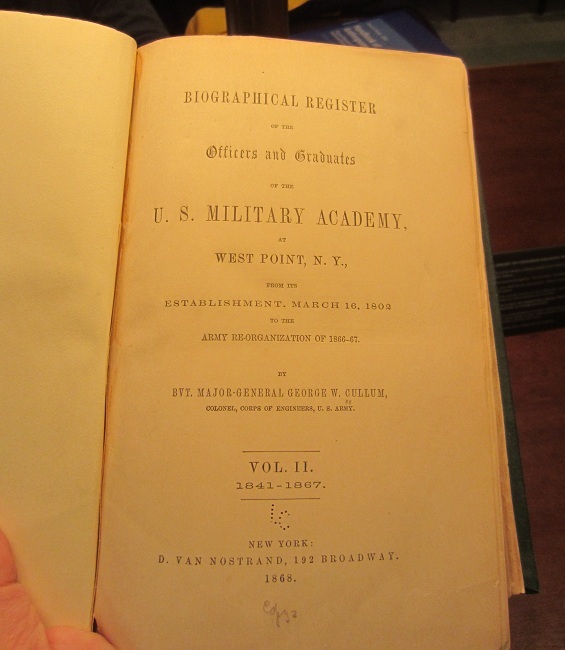 George B. McClellan’s acceptance letter to the United States Military Academy at West Point, dated June 30th 1842, and, having made it’s way to the Way Office February 14th 1843. What is really fascinating is that he was born December 3rd 1826, and when he was accepted at West Point, he was literally fifteen and a half years old. 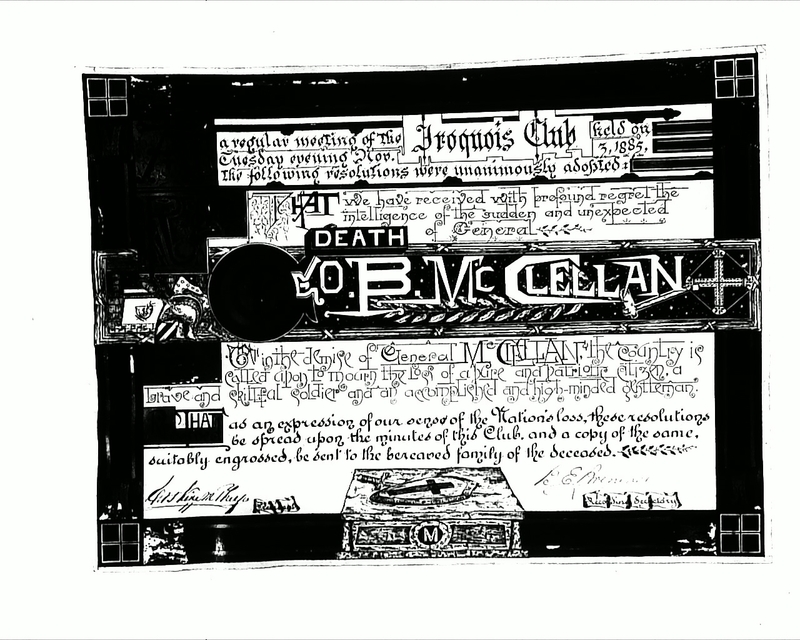 The back side of the West Point acceptance letter, note the handwritten “McClellan” in the top center fold. 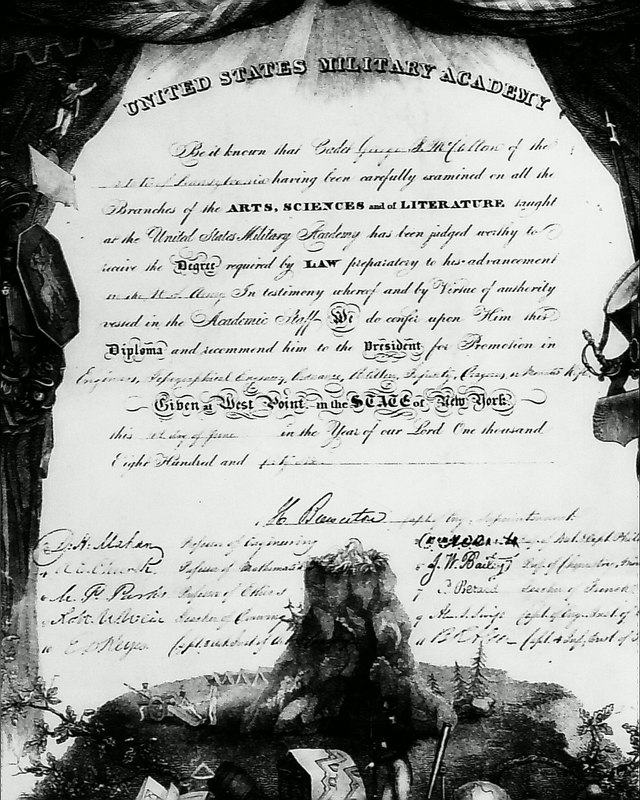 George B. McClellan’s Graduation Degree from West Point, dated June 12th 1846. The above view shows exactly how one sees it in the Library of Congress. 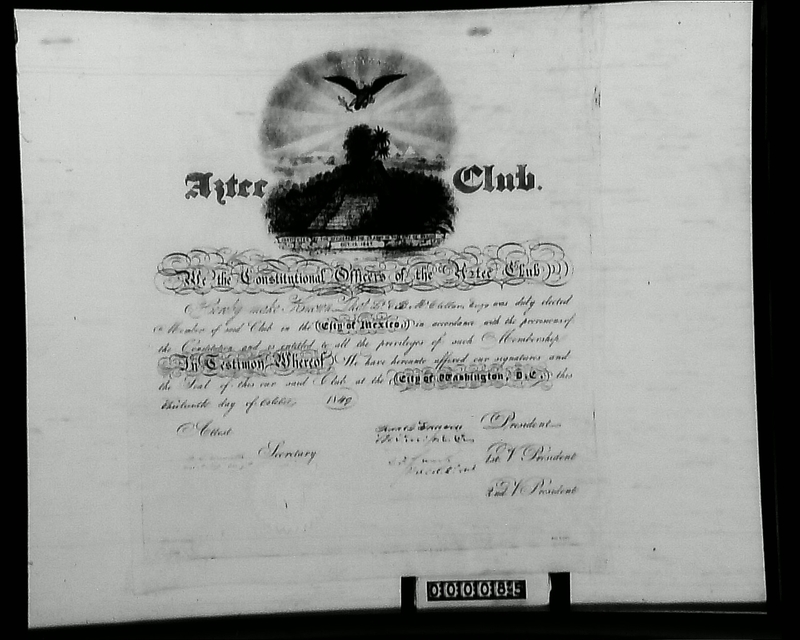 It is found in The McClellan Family Papers, Reel # 82, Frame number 68. It’s actually seen horizontally, I rotated it to vertical. 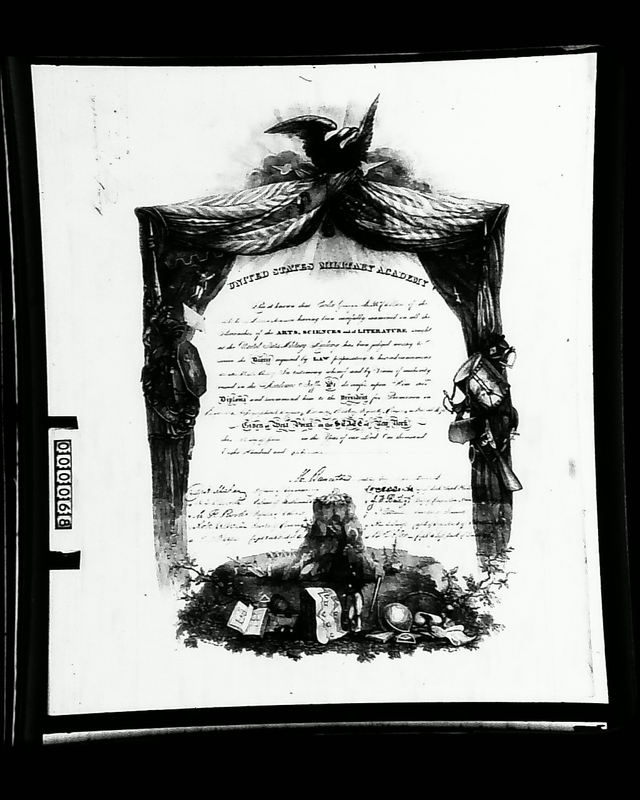 A closer view, showing readable details of the 1846 West Point Graduation Degree. 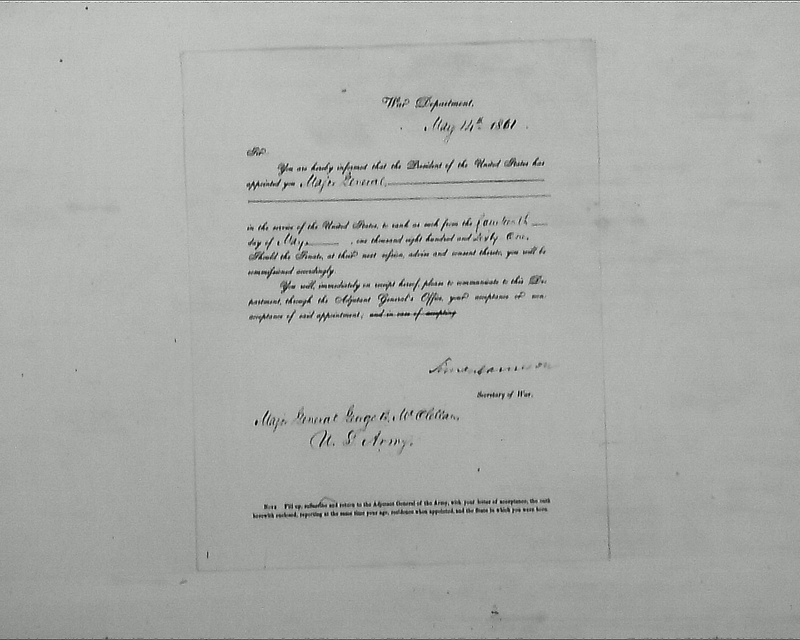 Shown above is the original copy of George B. McClellan’s letter of promotion to Major General from the War Department by order of the President, dated May 14th 1861. 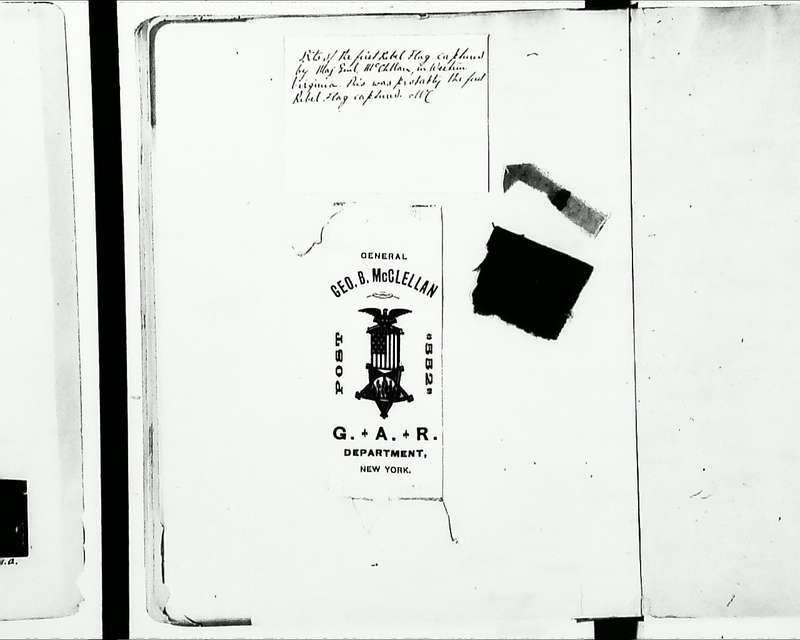 A page of the scrapbook showing remnants of the first Rebel Flag captured during the Civil War. The description states that it was captured by McClellan in Western Virginia. 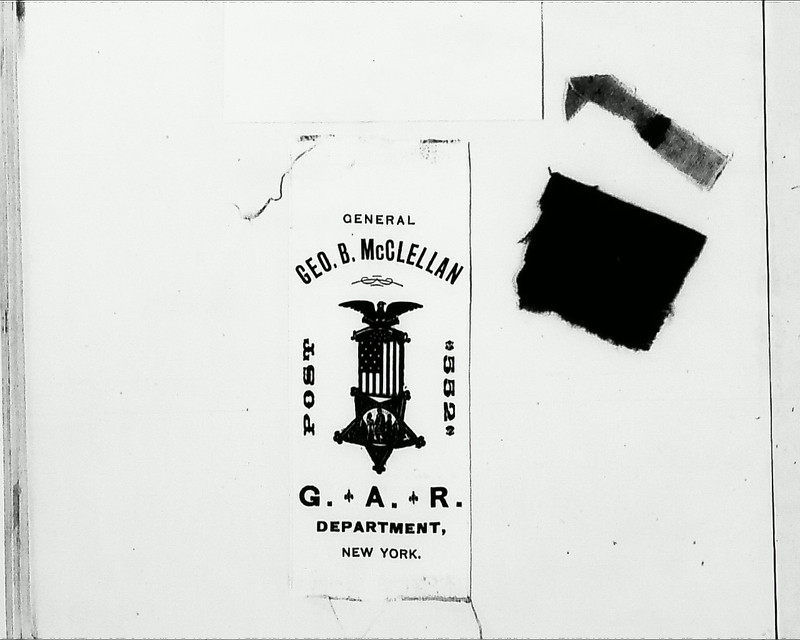 A closer view of the Rebel Flag remnants and a McClellan Post 552 card. 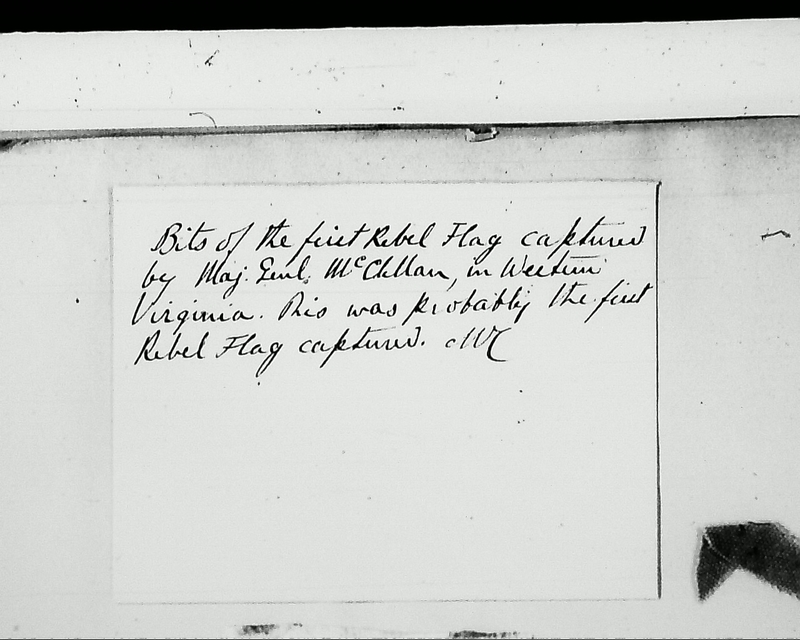 The description states that this was probably the first Rebel Flag captured. Featured above is the Oration by George B. McClellan for the Dedication for the Battle Monument at West Point for the fallen soldiers in the War for the Union, dated June 15th 1864. I wasn’t quite sure what to make of the above shown map and mention of McClellan as a cadet of the West Point Class of 1846, so decided to acquire a copy for a closer look. Above are two interesting scrapbook pages. McClellan did die in 1885, so I’m not sure if this Antietam Reception Committee was before, or after his death. The McClellan Family Scrapbook features more obituary items than anything else. 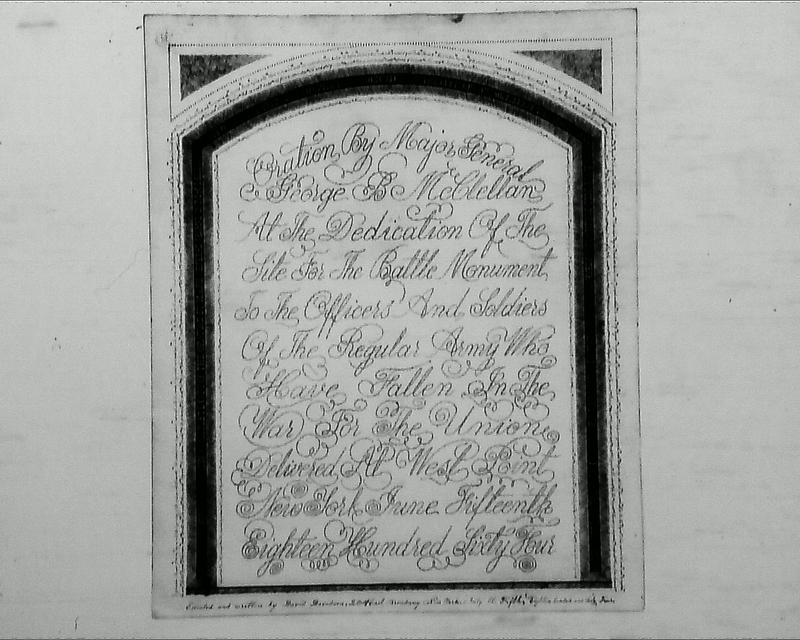 Here is one I selected for it’s completeness and the Memorial Address book shown with it. George B. McClellan died on October 29th 1885, he was only 58 years old. This is the most unusual document I came across in the McClellan Scrapbook. It’s a memorial club obituary from the Iroquois Club. I’d consider researching this club, but I’m not sure if I can get used to their very particular and unusual lettering style. 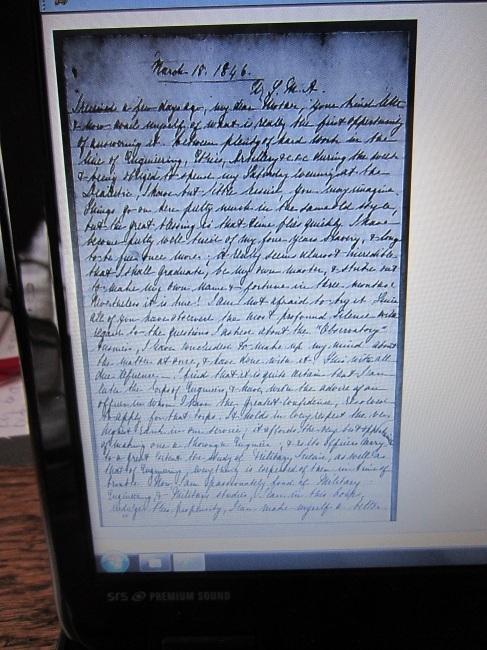 I have never seen a 19th Century Document quite this unusual. This item dates November 3rd 1885, and must have been quite an interesting club, just judging by the document’s bizarre appearance. In Conclusion, But There is No Conclusion Yet. It was an incredible week spent in our country’s finest library overturning stones of every kind in hopes of proving my theory. This theory of this being a McClellan commissioned 1846 graduation celebration party bottle is definitely not ruled out. The Library of Congress does have huge amounts of information, on every topic and historical person, or event one could imagine, but they do not have it all. 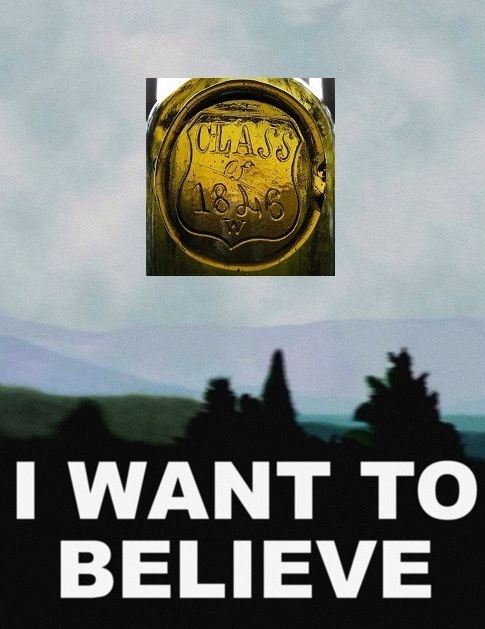 It was thrilling to speak to specialists in the know and have them explain how difficult finding out what this mysterious Class of 1846 bottle is, and also have them point me further on my quest with their suggestions and ideas. My friend and research partner Dana Charlton-Zarro will be returning to West Point next week to continue research there. 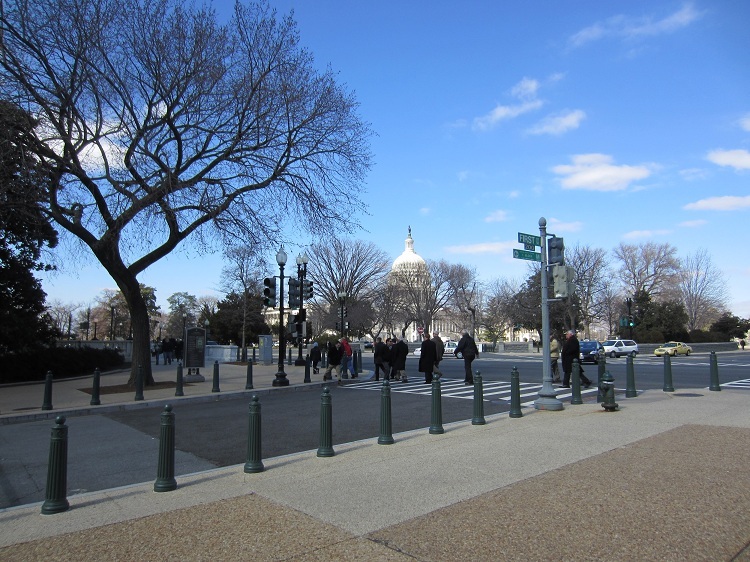 It was certainly worth my time and effort to venture to our Nation’s Capitol and see what information could be had. Again, every stone unturned leads further to the truth. It might be a long path, but we will get there. No matter what this bottle represents, myself and my research partner will not stop until we identify it.